In its continued efforts to be competitive in a global market, Mexico set an ambitious target to become part of the Transpacific Partnership Agreement (TPP). However, a requirement for all potential members of this Pacific free trade alliance is to include effective measures to comply with certain general principles on labour matters in national legislation: independent and specialised courts, obligation to bargain with unions representing workers, and respect to workers’ freedom of association. The plan of including the TPP in Mexico’s long list of free-trade international agreements coincided with the need of renegotiating another critical commercial instrument: the North American Free Trade Agreement with the United States of America and Canada. Again, the requirement of effective legislation to promote and respect collective bargaining principles and rights was inserted in Mexico’s public policy on labour matters. Consequently, on 24 February 2017, Mexican Congress passed a constitutional reform with important changes that will shape a new labour culture and market in Mexico. Following more than 70 years of resolving labour conflicts at tri-partite bodies pertaining to the Executive Branch, now litigation will be adjudicated before professional, specialised and independent courts belonging to the Judicial Branch. As strange as it may be, Mexico’s Ministry of Labour is currently responsible for the Federal Conciliation and Arbitration Board, the Governors of each State of the Mexican Republic, and State Conciliation and Arbitration Boards. Without a doubt, this judicial structure that is about to end, bringing a curtain to its long history of inappropriate federal and state intervention of the Executive Branch, in labour affairs by and among employers, workers and unions in Mexico. Changes to Mexico’s Federal Constitution on collective bargaining will shake up rooted practices and will change the dynamics of employers before workers and their collective representatives. Unions will have to go back to their genesis as organisations created by workers with the sole purpose of advancing the rights and interests of their members. It is not a secret that dozens of unions in Mexico survive – and many of them thrive – from the formal or informal agreements established with employers. Indeed, employers had to approach a certain type of union (“sweetheart unions”), to put a collective bargaining agreement in place to counterbalance the possibility of another union calling a strike without representing the workers. These collective bargaining agreements known as “protection agreements” have no substance because the union will not represent the workers and will not bargain with the employer for better salaries or employment conditions. Similarly, workers will not pay union dues and generally, will not even know about the existence of such agreement. It is expected that in terms of the changes to the Constitution, employers and unions will refrain from entering into “protection agreements”, because unions will no longer have the right to call for a strike without demonstrating their representation of workers, and because collective bargaining agreements will only be valid if registered before the authority proving that the workers agree to its terms and unionised workers are in fact part of the rank and file of the union. Not only will the constitutional amendments require the Judicial Branch to establish state and federal courts throughout the country with specialised staff on labour matters, but also two new agencies will appear for the first time in Mexico. Conciliation Centers will be created by each state, as a mandatory pre-litigation stage, where every worker, union or employer will have to first initiate a grievance procedure. If conciliation or mediation is not successful, the parties will then be authorised to continue litigation before a federal or state labour court. The constitutional mandate envisages that a large proportion of cases will be settled in the pre-litigation stage, releasing the courts from the current overload of cases that are taking at least four years to reach a conclusion. In addition, it will establish a Federal Registry of Collective Bargaining Agreements and Unions, which will centralise the registration of all collective agreements, unions and internal work regulations of each employer in Mexico. This government agency will verify that each registry is supported on the principles of effective union representation, collective bargaining and freedom of association. The Constitutional changes were published in Mexico’s Official Gazette on 25 February 2017, ordering the Mexican Congress and State Congresses to enact its legislation at federal and state level, respectively, within one year. However, the proposed amendments to the Federal Labour Law have remained hostage to political interests and the constitutional mandate remains unfulfilled. Mexico will have presidential elections on 1 July 2018, and the Congress will be renewed with the possibility of starting discussions to finally pass secondary legislation on this regard. In any case, every company doing business in Mexico should be aware that the Constitutional changes are already effective and it is only a matter of time until these changes will have an impact on their operations. Analyse the current collective structure comprised of collective bargaining agreements (either with or without union representation) and internal work regulations, which will be under the strict scrutiny of Mexican authorities. Include awareness of and training on the changes to the law among its human resources and labor relations departments, and build scenarios of potential union representation. Strengthen communication and direct dealing strategies with their work force to avoid falling prey to misinformation or propaganda from unions that will try to take advantage of the new legal framework. 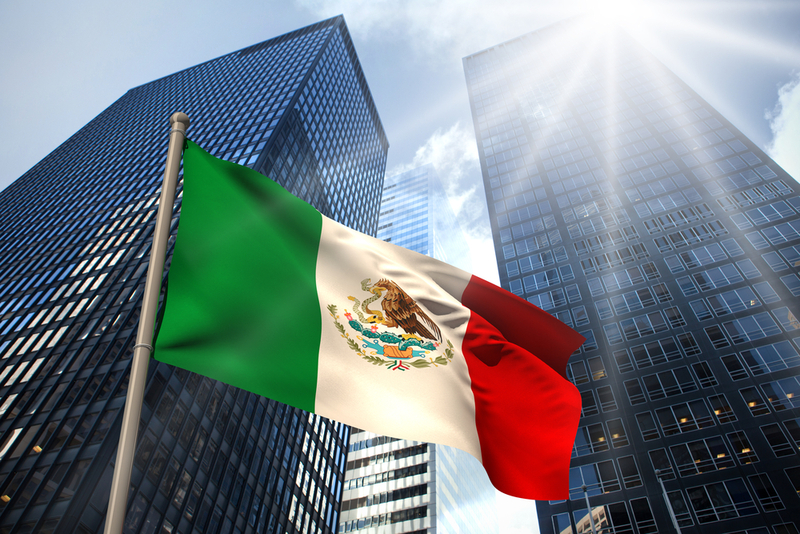 Similar to any other substantial change to laws impacting their business, companies moving ahead and working on preventive measures will better adapt to the new dynamic of Mexico’s constantly changing labour market and growing economy.